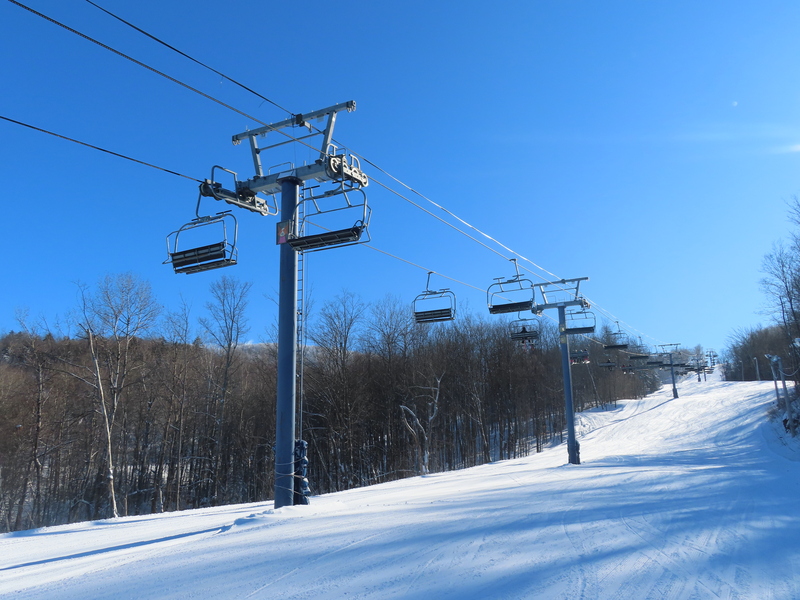 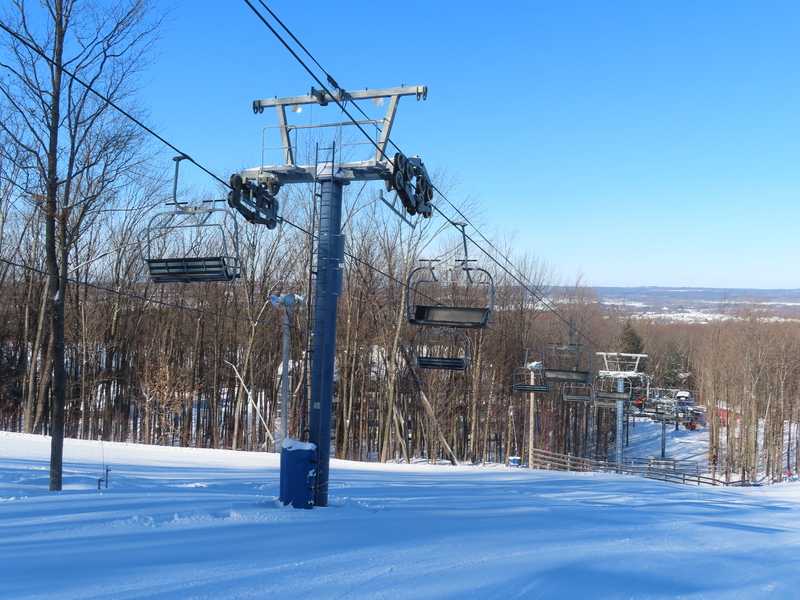 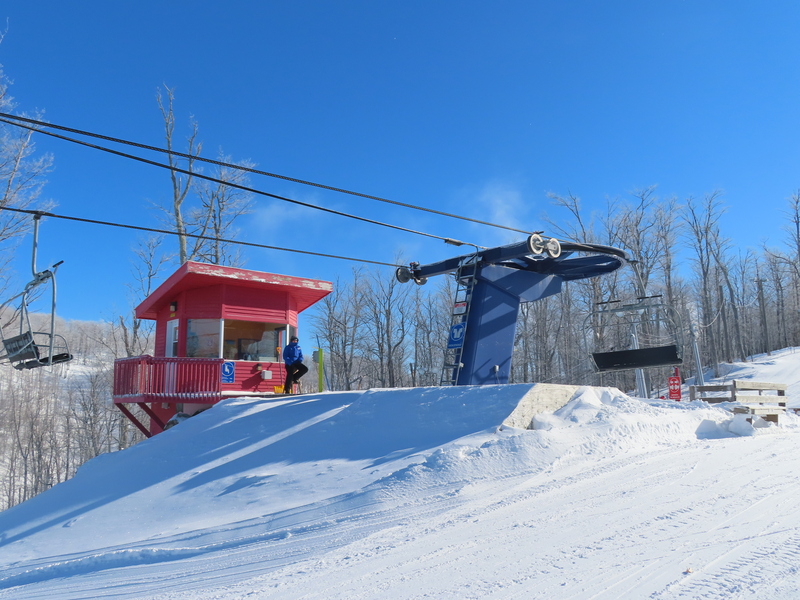 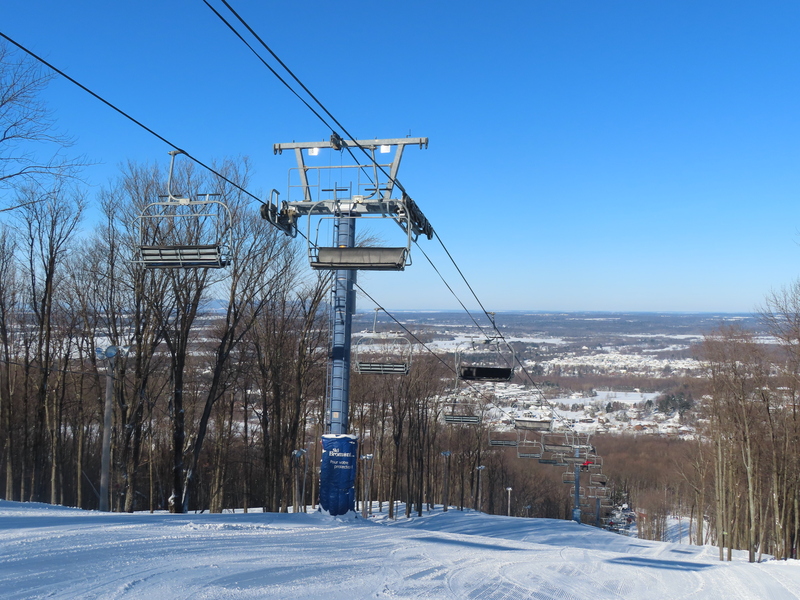 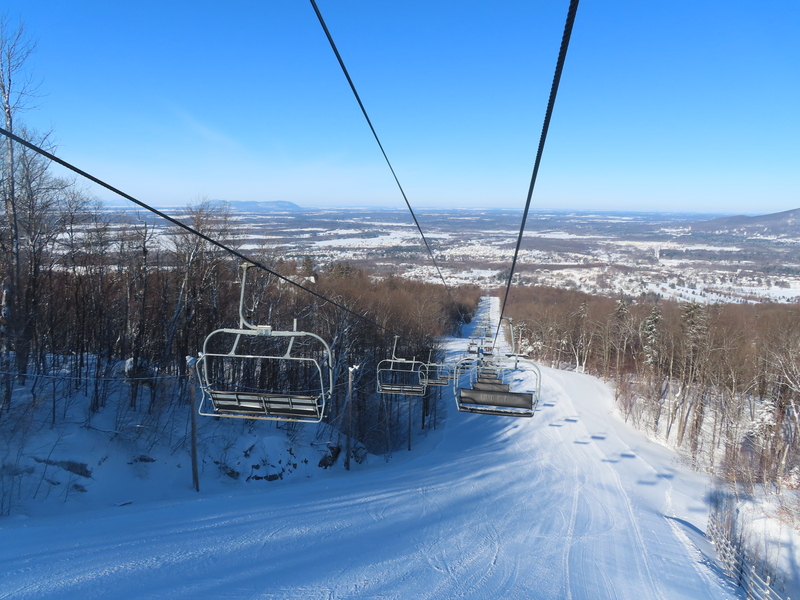 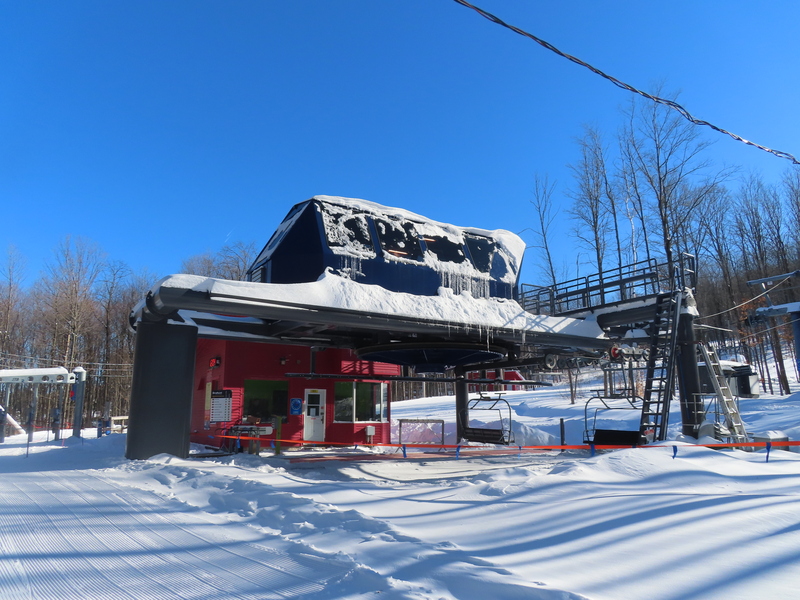 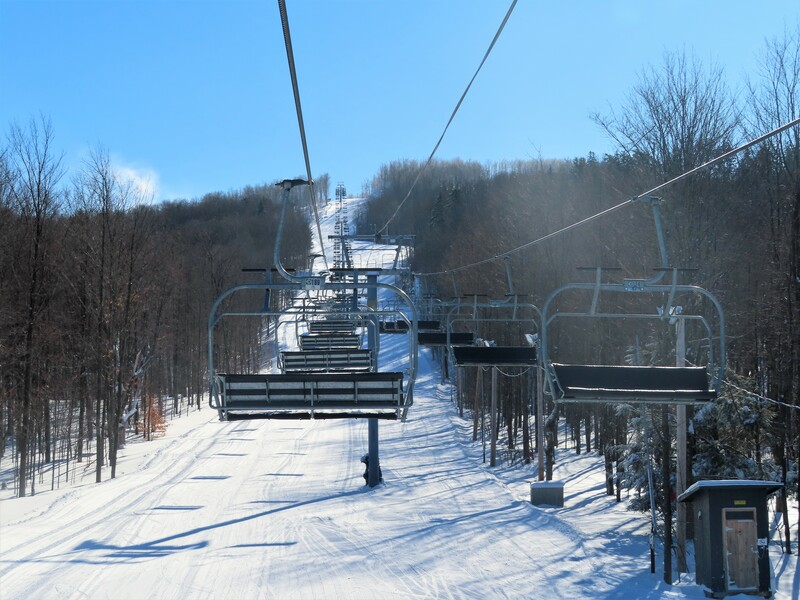 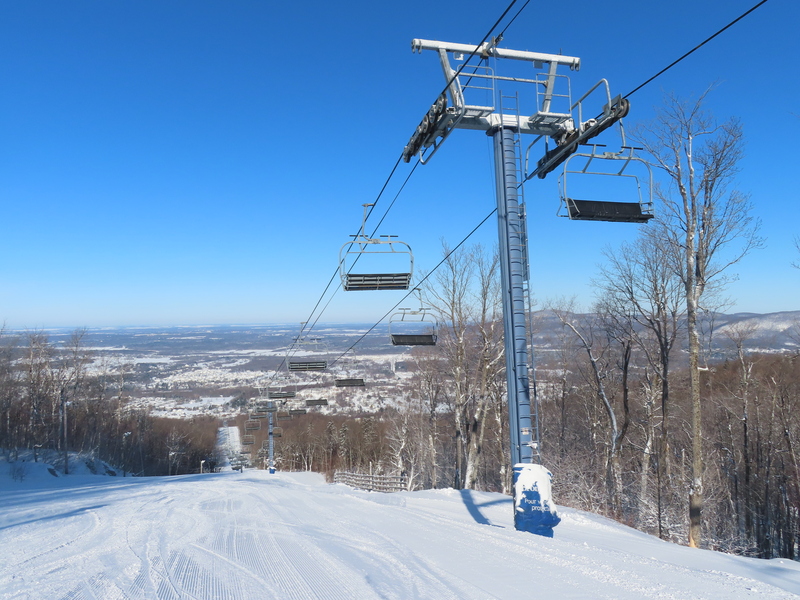 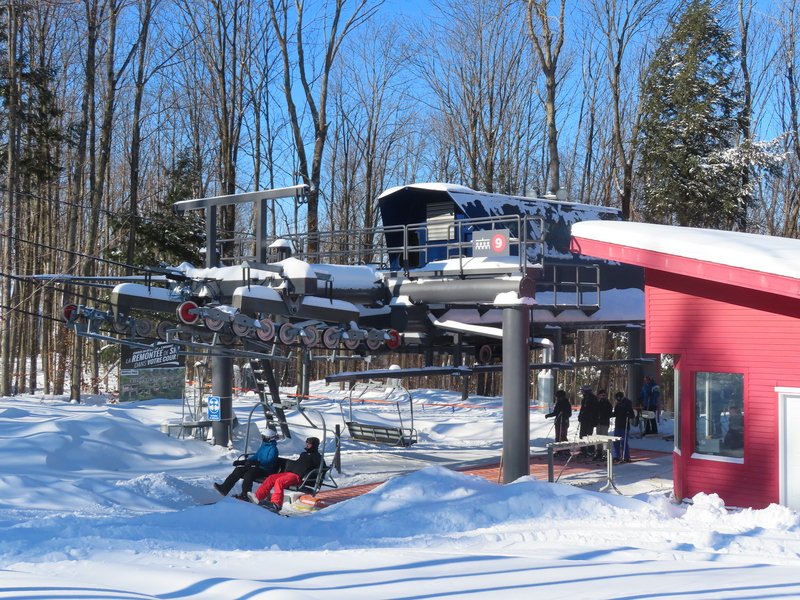 This merger-era Doppelmayr CTEC lift is the longest at Bromont and services beginner terrain as well as ski-in, ski-out properties. 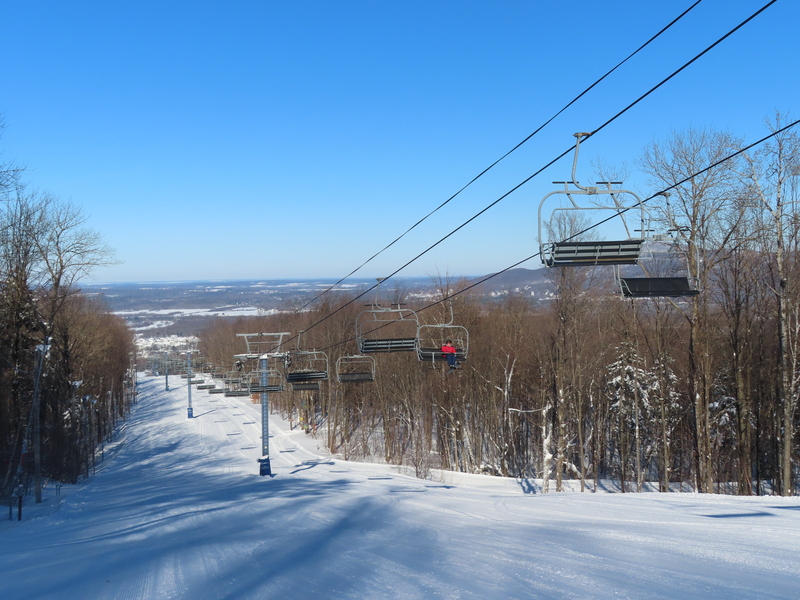 View down the mellow lift line. 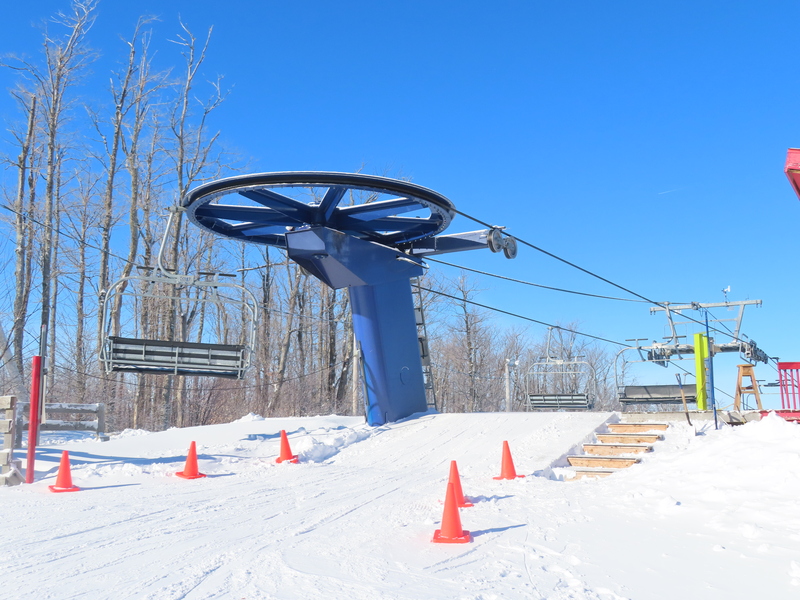 The chairs are CTEC style. 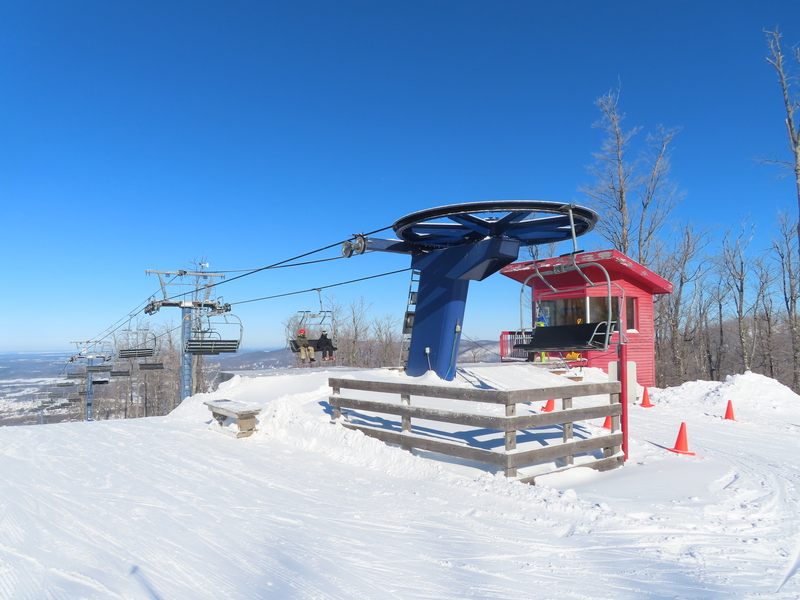 Combo assemblies near the bottom terminal. 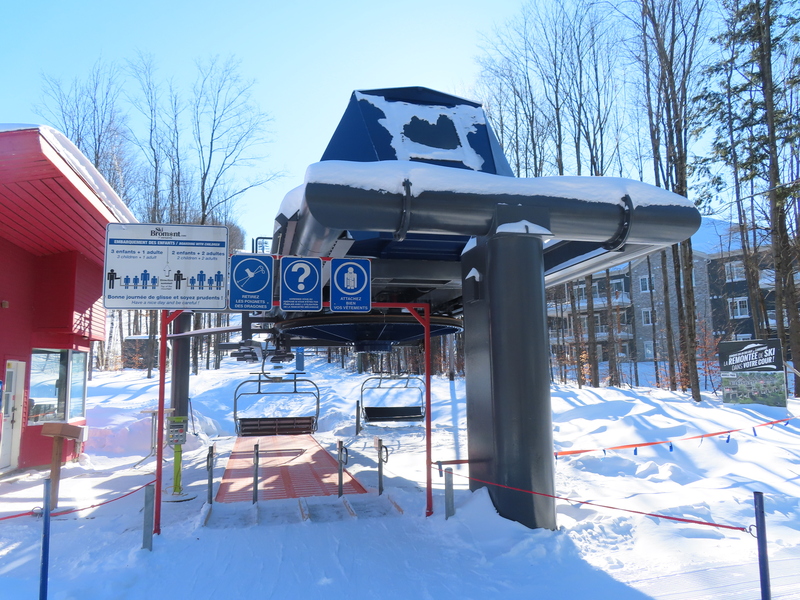 This lift runs faster than most fixed quads due to its loading carpet.